The Neon Dreams 2015 Paddle8 auction is live and I am loving the company my work is in! Image File Press has curated some of my faves together - online for now but soon to be united in pod form at the Threewalls benefit gala! Bid now, bid often, you can't lose! ... Or you can, but then you can save your money for something else. Either way, check out the auction now and on May 29 at Moonlight Studios. 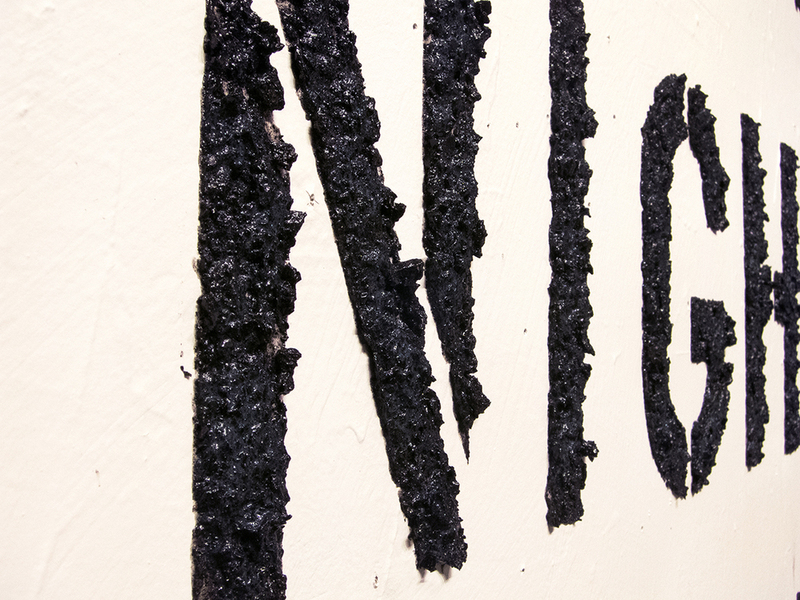 Cringe opens tonight at Aggregate Space in Oakland, CA! The all-video show features "self-reflexive performances of awkward personal narratives that cause near physical reactions. Each piece cleverly, and often disturbingly, portrays the artist as an alter-ego that rejects social norms, challenging what a public persona should be." Featuring works by Keith DeNatale, Eliza Gagnon, Anna Garner, Kate Hampel, Katie Hovencamp, Laura Hyunjhee Kim, Monica Panzarino, James Tantum, and Rachel Yurkovich. Since early October, my video Casual Encounters: A Month of Sundays has been playing at the Hudson Valley Center for Contemporary Art in Peekskill, NY, as part of the show The Women's Room: Female Perspectives on Men, Women, Family and Nation" curated by Marcy B. Freedman and Livia Straus. This weekend, though, brought a good reminder to go see the show before it closes in December: the New York Times ran a piece about the show, "Personal Ways of Untangling the Political" by Susan Hodara. The show runs through December 7, and will feature a panel discussion on December 6. Works include videos by eight internationally-based artists, many of whom I met at the opening. Here's an install shot of the video (you can watch it here). I hope I see you tonight at Chicago Artists Coalition! Granted: Crafting a Winning Proposal, starts at 5:30 with a panel discussion and is followed by sold-out one on one application reviews. I'm excited to join some local art heroes for an artists' Q & A after the formal grant-makers panel (ask me about my budgets). Update: I thought I'd include some of the best advice that came out of this panel, from the artists and also the granting organizations. Ask questions about your application--well ahead of time! Submit early, especially if it's an electronic application. Show your commitment to the project. This could mean including personal financing in your budget, or by already having started it (at least in a small way). For last year's DCASE application specifically, there was a question that asked whether you would complete the project even if you didn't get the grant. While this wasn't explicitly stated–and I assume wouldn't be a deal-breaker anyway–it seems a good idea to say yes to this kind of thing ('cause you would, wouldn't you?). It's completely acceptable to get in touch after a rejected application to ask what you could have done differently (not something I've ever done but will try to start). Build a relationship with the organization and the people who work there, even if you don't get the grant. Allyson Esposito, Director of the Cultural Grants Program at DCASE, talked about receiving invitations to shows and email updates from some applicants even after they'd been rejected from that year's grant cycle, and how she finds that kind of relationship-building incredibly valuable. Contrary to most visual art applications, grant panels often read statements before they look at images, so be sure that your writing makes sense on its own. Juries and panels are often made up of people from many cultural fields (art, music, dance, etc.) so again with the writing making sense–your readers may have different vocabularies, so be as straight-forward and jargon-free as possible. I just moved into my new 4th floor studio at Mana Contemporary---today is Open Studio Day, among other things (Renegade Craft Fair, Version Fest, beautiful sunny Sunday in Pilsen...) from 1-7pm. Come visit if you can! 2233 S. Throop. This January I spent a week in Tennessee, after being invited to join the Tactility Forum at Arrowmont School of Arts and Crafts. Thirteen North American artists working across the spectrum of fiber and related materials met in the Smoky Mountains to make work, talk shop, and eat wintry soups. I was incredibly happy to be part of this group and to see so much great work develop around me in our shared workspace. This winter is full of reasons to go south, and to the hills. Last week found me in Charleston, West Virginia, working with long-time friends on an exhibition called Predictions. Memory, and the fluidity between past and future, was a big part of the curatorial statement written by Jenny Hudson and Craig Mason. For many of my installations lately it's been important to use local materials. There's nothing more site-specific, or site-relevant, than earth dug up from near the gallery. West Virginia, though, has even more going for it in the lumps of coal that tumble from freight trains throughout the state. More than dirt, and more than the glitter I've enjoyed working with so much, coal is gorgeous and awful all at once. More sparkle than I would have imagined, and I turned into something of a hypochondriac while using it, thinking the worst every time I coughed. The piece was an evolution of earlier work, that really fit the show's theme of overlapping pasts and futures. Re futures, a bucket of coal made the trip home with me--I think it'll be interesting to use it in Chicago where it will be viewed more for its aesthetic qualities and not quite so politically charged. It's been a while. The non-virtual world has had a hold on me, but colder air and red-skied mornings have me feeling ready to stare into the screen. Lately I've been staring at other things, namely pages: Michael Pollen's latest Cooked, which naturally I've been reading while eating because what else? Among interesting details (99% of the DNA we carry around in our bodies belongs to bacteria! Are we superorganisms?) was a nice long musing on the erotics of disgust. The erotics of disgust. Pollen, of course, was writing about cheese, but these are some of the most beautiful words I've read in a long time, Camembert or no. Going to keep thinking about this.